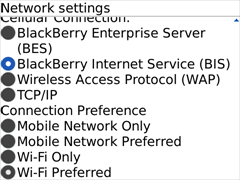 Blackberry devices do not contain a ActiveSync (EAS) capable client by default. There is commercial third-party software available from AstraSync (http://www.astrasync.com) which has been evaluated by Open-Xchange to supply best support and integration to the Blackberry platform and Open-Xchange Server. This vendor also offers a seven day evalulation version of the AstraSync client. Please visit the AstraSync support website for more information and guides about the software (http://astrasync.com/support/). 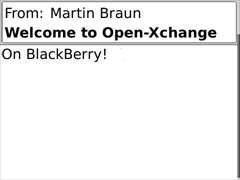 Since the maker of Blackberry (RIM) restricts 3rd party access to several API within their software it is not possible to use the native Blackberry application for E-Mail. 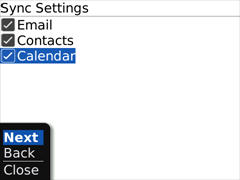 Other applications like calendar, contacts and task lists can be used natively. 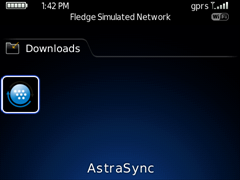 Use the Blackberry browser to download the AstraSync software. Please note that at least version 3.0.20 is required to use with Open-Xchange. After the client has been downloaded and installed, it is available at the "Downloads" directory of the Blackberry device or at the main menu, depending on the Blackberry software on the device. After accepting the license agreement, AstraSync will automatically discover the network connectivity of your device. Please review these settings. 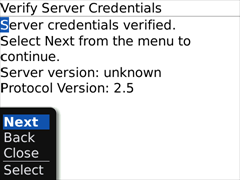 At the server configuration, your Open-Xchange credentials and server data needs to be entered. 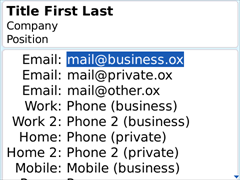 Add the E-Mail address, the user name, the domain and your password of your Open-Xchange Server account. If your account name contains an '@', enter the first part to the 'Username' field and enter the second part to the 'Domain' field. For example: the account 'mike@ox.io' becomes user: mike, domain: ox.io. If your Open-Xchange Server account does not contain an '@', enter the user name and enter 'defaultcontext' as domain. As Server, enter the ox.domain.com, replace domain.com with the domain name you subscribe. If your domain name not yet fully propagate, you can use 103.6.196.172 (MY) , 103.7.8.151 (SG), 173.248.178.95 (US). 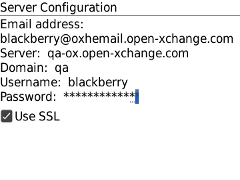 Enable SSL if the Open-Xchange configuration supports encrypted communication. AstraSync now establishes a connection to the Open-Xchange Server and verifies the ActiveSync capability. At Sync Settings, you can choose the modules that shall be synchronized with your device. 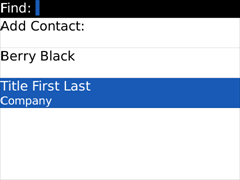 Synchronization can be triggered by starting the AstraSync client and select the corresponding option from the context menu. Please refer to the AstraSync client documentation to get an overview of all possible features and settings of the client. E-Mail stored at your Open-Xchange account can be accessed by the main screen of AstraSync. 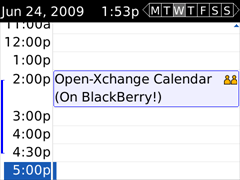 Use the native Blackberry calendar application to get access to your schedule stored at the Open-Xchange Server. 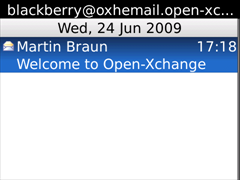 Your contacts synchronized with Open-Xchange Server are available at the native Blackberry contacts application.